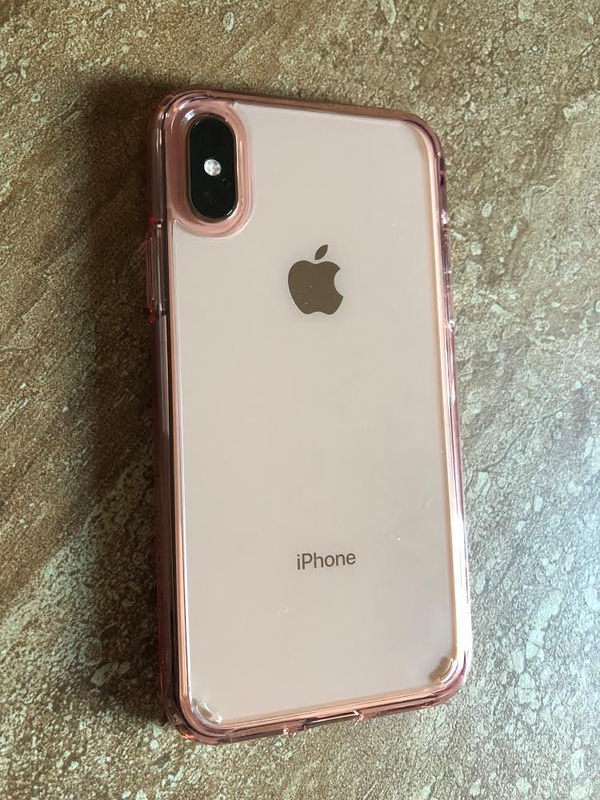 What iPhone XS case are you rocking? 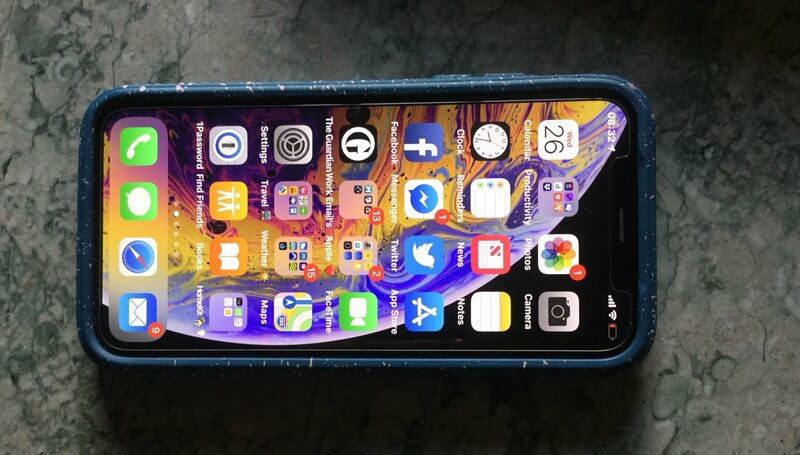 Strange that I could not find a XS only case thread. 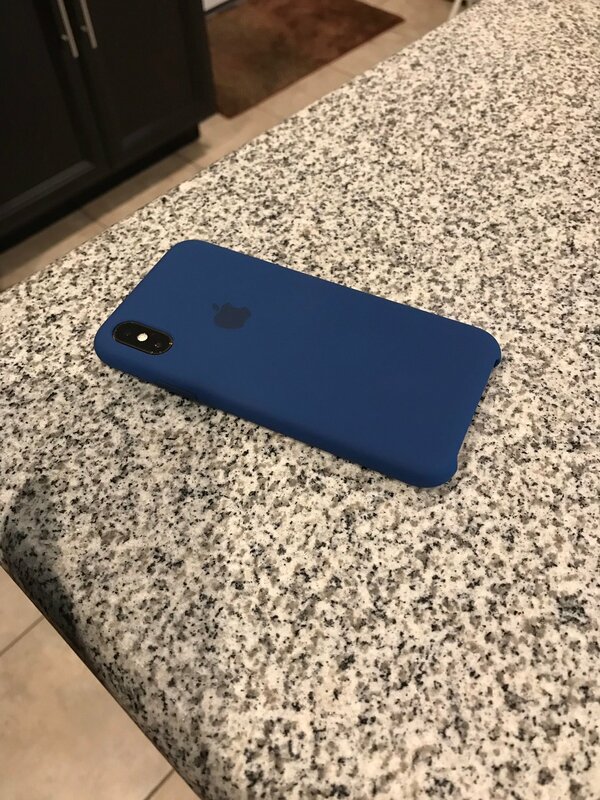 I’m using the cape cod blue leather from Apple. Here’s a couple of shots with different lighting. 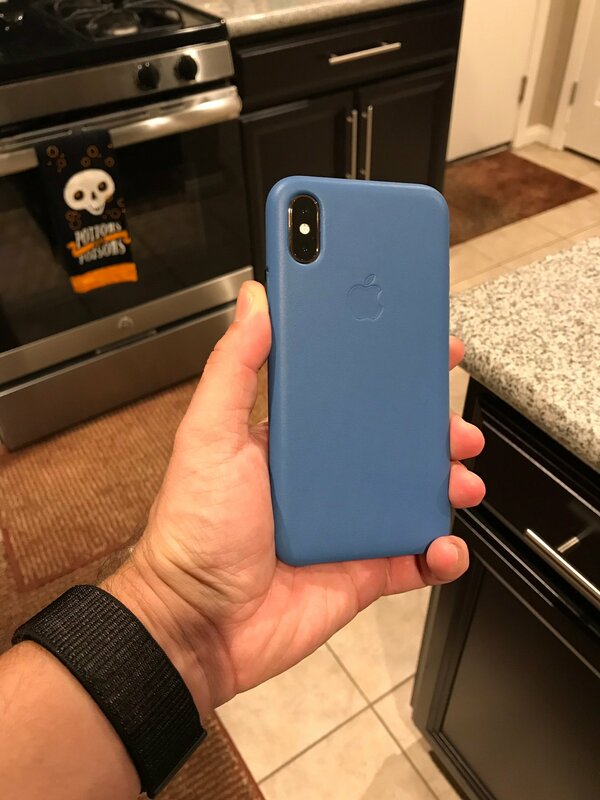 Also, I have the blue horizon silicone case. Mobel67, Westiemom, A_M_W and 7 others like this. That looks sweet. I might pick one up this weekend. Is the bottom open, fully exposing the trim and glass? 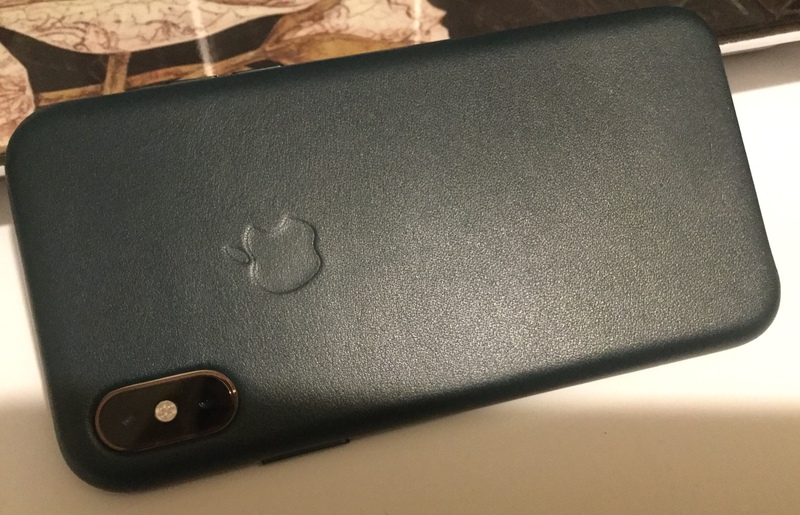 If I had an XS or Max it would be rocking an Apple leather case. Spencerdl and Stan Jackson like this. 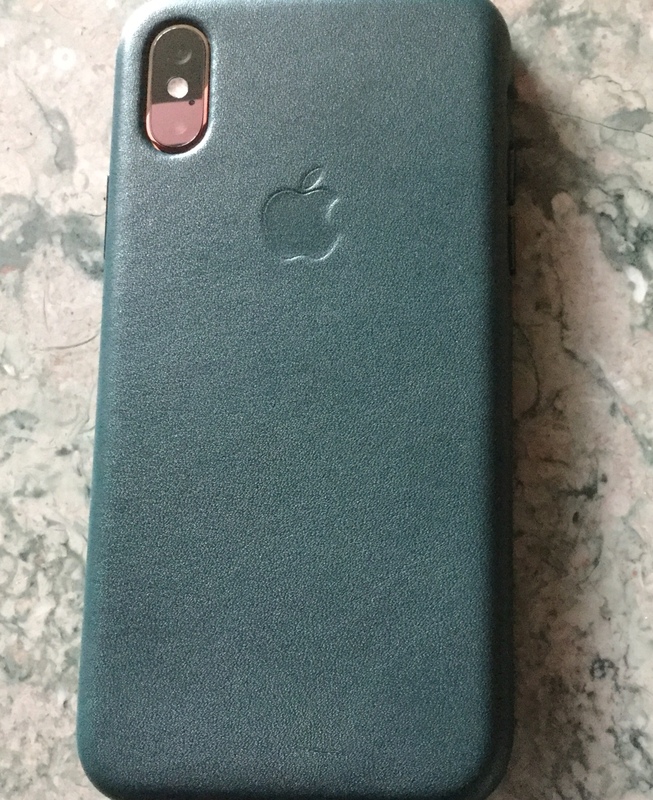 Apple leather case Forrest Green. I had the folio version but returned that. Enjoyed using the berry folio with my X but fancied a change. Sorry pics not great as had to take on my iPad in not the best light. judgetom, Spencerdl, johnmed3 and 1 others like this. Is that the new dark green or is it the black? Hard to tel from the lighting. It’s the dark green. Yep sorry, lighting not the best. Will try and take another in daylight. However it is a very dark green. Forrest Green folio case which I returned. Plus the Otterbox case, which is great. 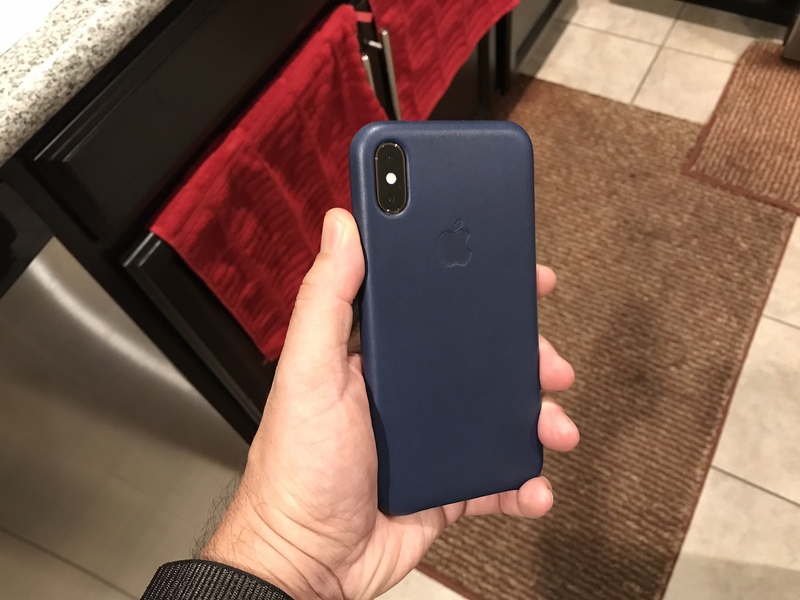 Good grip, feels very protective, but has a slim design. Spencerdl and cinnamin like this. 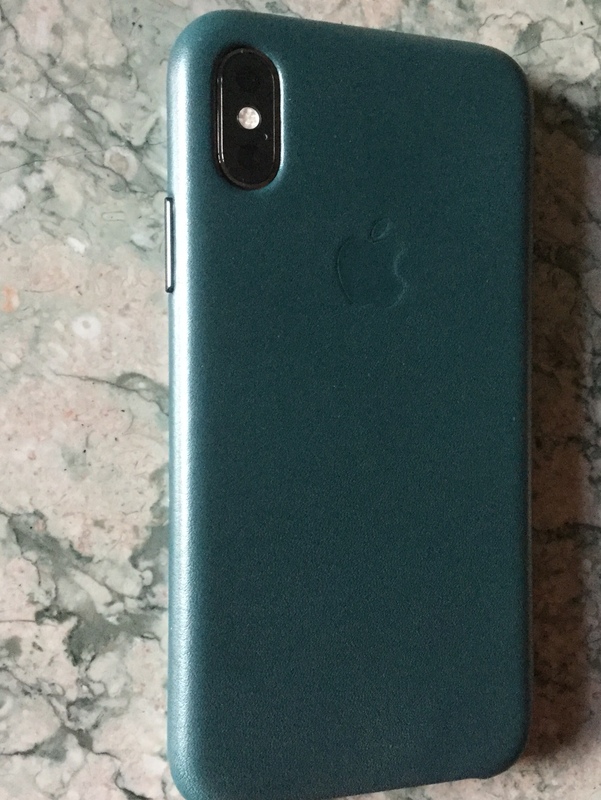 I am not the biggest fan of the gold phone however must say that dark green leather really looks awesome with the phone. Compliments the gold frame incredibly well. Took this picture with my 8Plus before I packed it up and sent it back to Verizon. 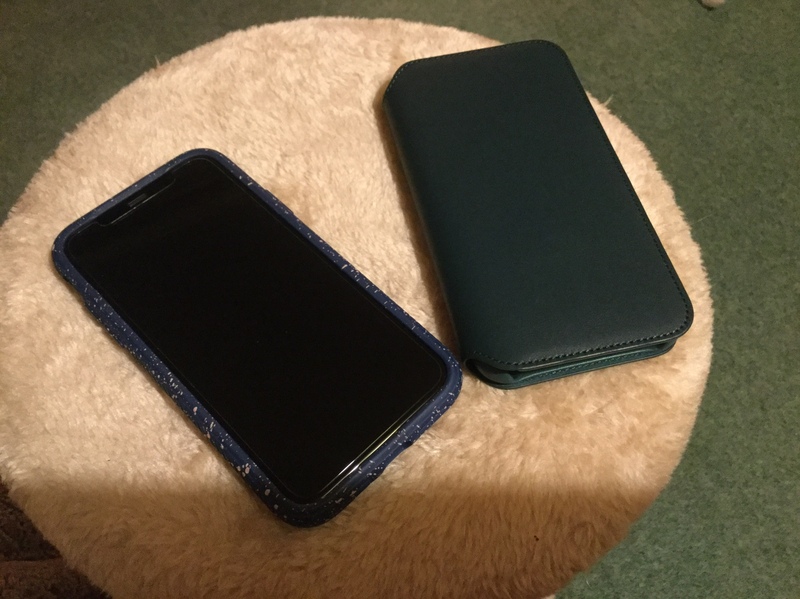 So I’ll have to snag my husband’s Pixel to take a picture of my phone with the Apple leather. ladyc0524, A_M_W, cinnamin and 1 others like this. Can you take another pic of the OtterBox in daylight? 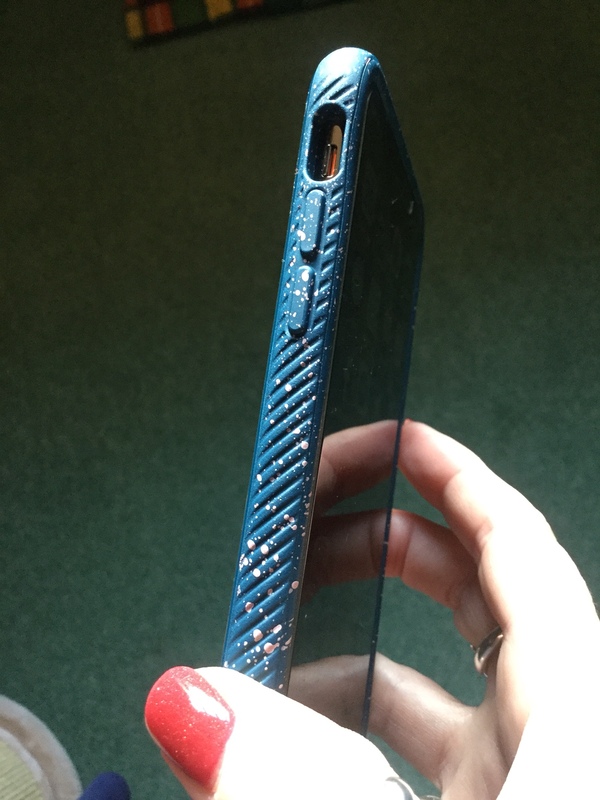 What do you think of that case? I was thinking of purchasing it's so different! Ok another leather today. Midnight blue. A_M_W, ladyc0524, Spencerdl and 3 others like this. Sorry pics still not the best quality ashaving to take them with iPad. 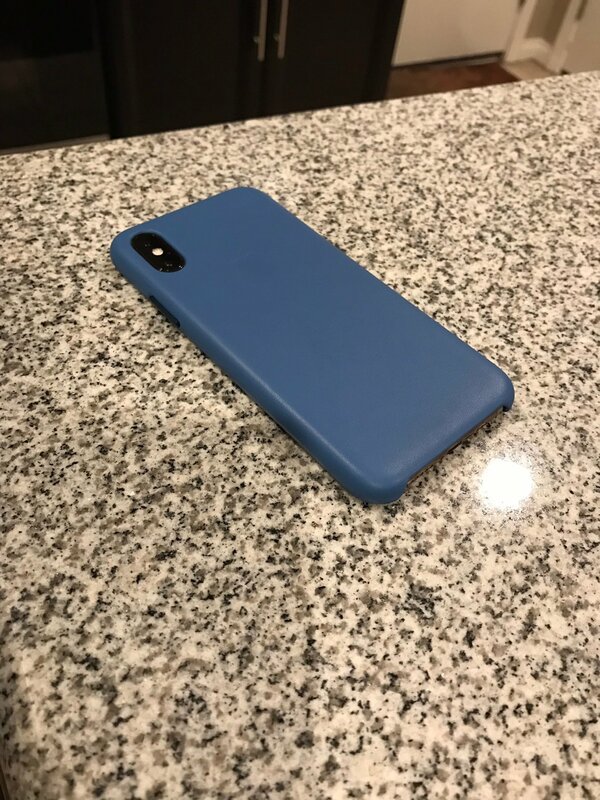 I really like this case phone feels very secure and safe in it and it looks really nice on. Got it mainly for the clear back as seemed a shame to cover up the design of the gold. Saw the pink shockberry and electric tide in store and they were really nice and bright, which I’d normally go for. Really like the navy through, must have been in a sensible grown mood, as both my cases are dark and muted this year!!!! . It’s going to be interesting to see how the clear back holds up to scratches and discolouration. However would definitely recommend it on experience so far. ladyc0524, Westiemom, cinnamin and 1 others like this. 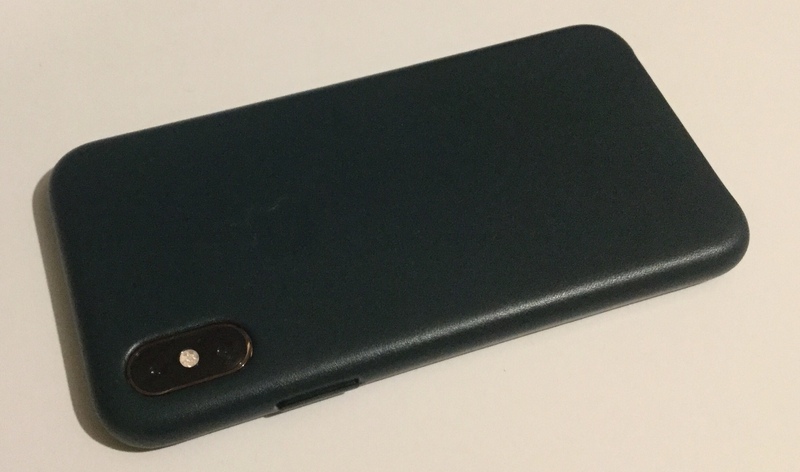 Pics of Forrest Green case in daylight. Spencerdl and Westiemom like this. I wasn’t sure what cases would work with the gold, but I’m very please with this one. Spencerdl, Dwood1970 and nikkisharif like this. Awesome, thanks so much for these! 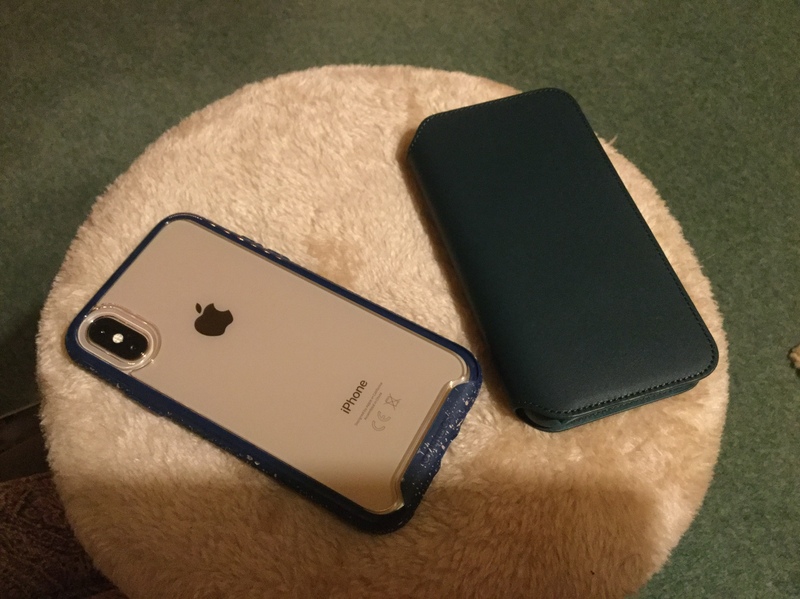 I do like the black/electric green too with the gold phone but I’m like the blue too! 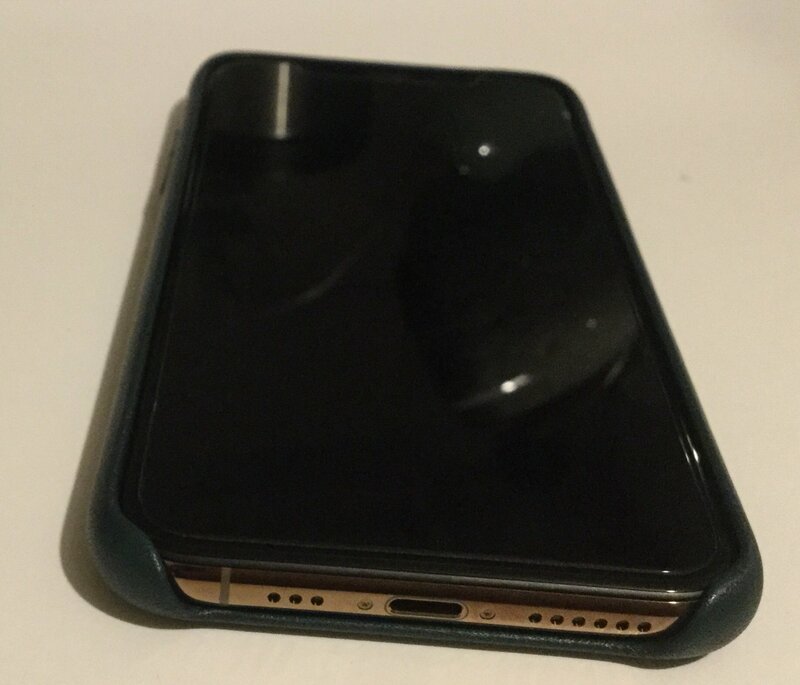 I’ve had an Otterbox statement case on my iPhone X and it has the same clear backing that does scratch easily unfortunately. I think it’s worth seeing the beauty of that new gold color though! How much bulk does that add to the phone? None really at the back. 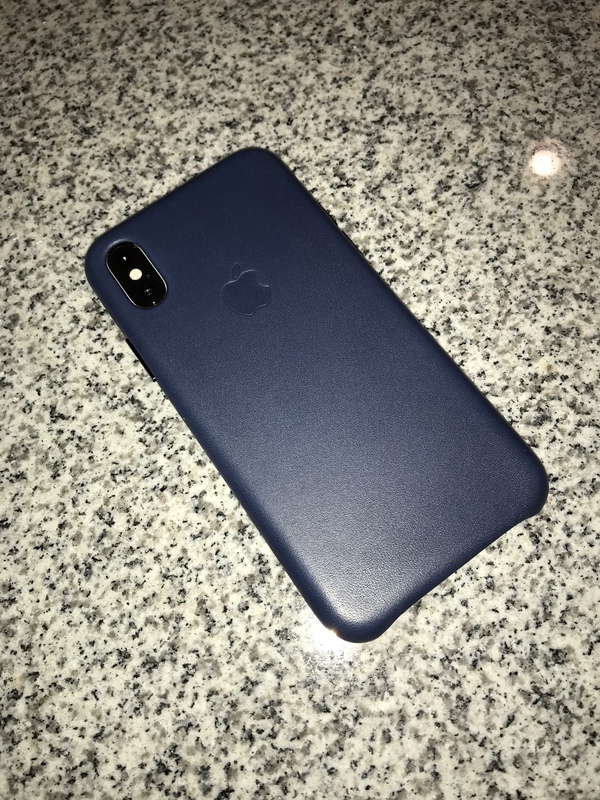 It does add some bulk around the edges but way less than the usual Otterbox designs. Plus this is what gives it its grip. I would say it’s a very protective case with quite a minimal bulk design. Yep the black case looked great too and that will look good with the screen. 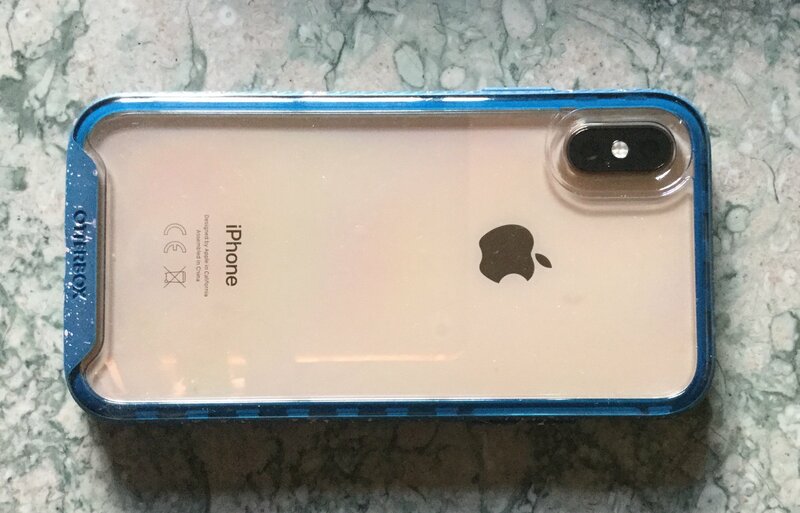 I think scratches on the clear case are likely, but as you say the trade off is being able to display that gold case. Added bonus with the clear back and slightly reflective back of the phone, you have a rather handy mirror!!!! 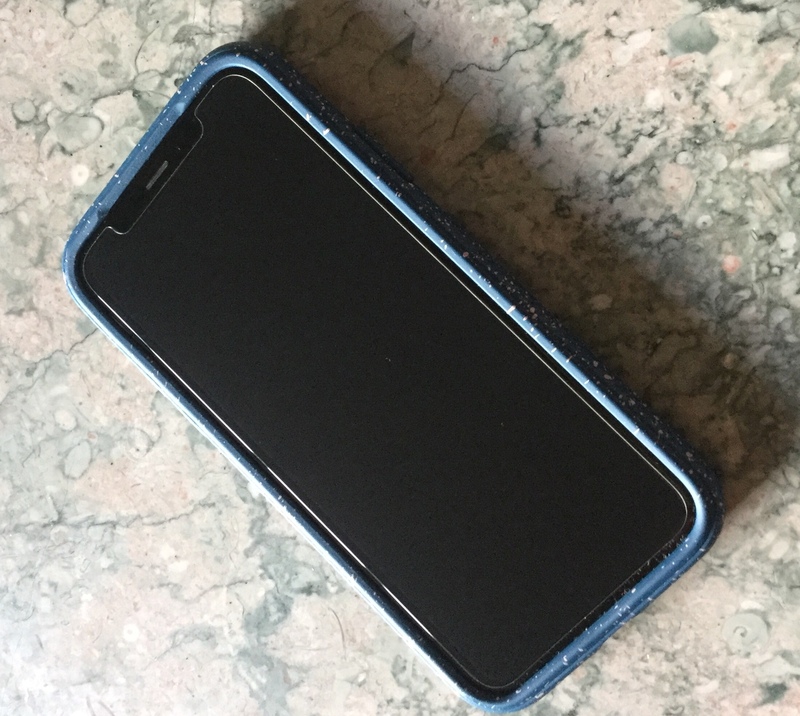 Apple Black Leather Case. Just classic. carrickfergus, Spencerdl, nikkisharif and 1 others like this. Westiemom and Speedygi like this. What does WiFi on Apple Watch Series 4 do?